LEE Su-jin’s debut film Han Gong-ju, which premiered at the Busan International Film Festival (BIFF) last October, has just won another accolade after picking up the Tiger Award at the International Film Festival Rotterdam (IFFR) last night (January 31st). LEE’s film shared the award with IKEDA Akira’s Anatomy of a Paper Clip from Japan and Something Must Break by Sweden’s Ester Martin Bergsmark. Han Gong-ju, the film’s titular character, is forced to move schools following an incident and then finds herself living in the home of her former teacher’s mother in a different neighborhood. She tried to move on from what happened at her previous school but the past is catching up with her. The film began hauling in awards in Busan where it picked up the Citizen Reviewers’ and CGV MOVIECollage prizes. Han Gong-ju also picked up the Golden Star, the top prize at the Marrakech International Film Festival in December. Han Gong-ju is the fifth film to pick up with Tiger Award, following HONG Sangsoo’s The Day a Pig Fell Into the Well in 1997, PARK Chan-ok’s Jealousy Is My Middle Name in 2003, YANG Ik-june’s Breathless in 2009 and PARK Jung-bum’s The Journals of Musan in 2011. 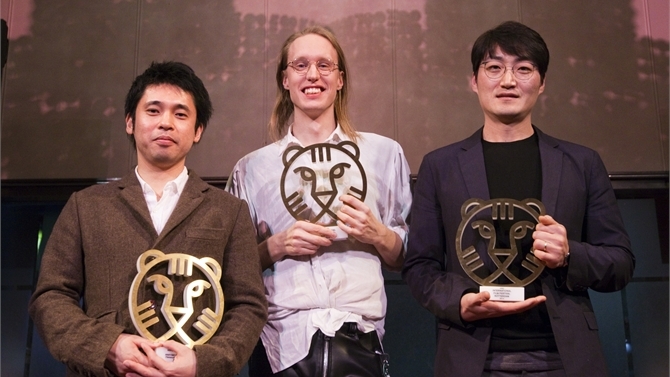 This year’s 43rd IFFR which began on January 22nd, will conclude on February 2nd.